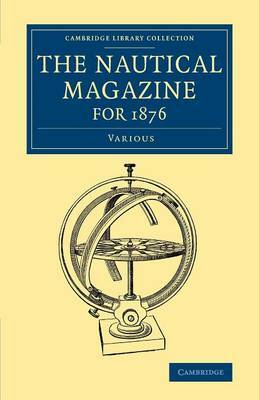 The Nautical Magazine first appeared in 1832, and was published monthly well into the twenty-first century. It covers a wide range of subjects, including navigation, meteorology, technology and safety. An important resource for maritime historians, it also includes reports on military and scientific expeditions and on current affairs. The exceptionally long volume for 1876 devotes much space to the Merchant Shipping Act of that year, and to other legal matters including the recent history of legislation relating to merchant ships, rules for the loading of cargos, and the prevention of collisions at sea. It contains statistics on the year's shipbuilding activity, details of the fleets of several Atlantic shipping lines, and discussion of the recruitment, health and pensions of sailors. Other topics covered include the Suez Canal, Nares' Arctic expedition, the exhibition of scientific apparatus in Kensington, proposals for a Channel tunnel and railway, and solar steam generation.